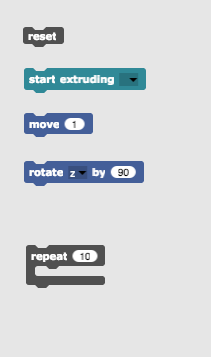 Change your code to make a rectangle. You can use all the same blocks as you used to make a square. If you’re catching on to Beetle Blocks quickly, be sure to help those around you. 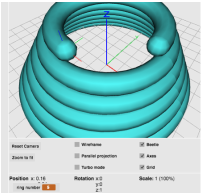 You can find a sphere in the shapes folder. You’ll also need to use the “go to x, y and z” block. 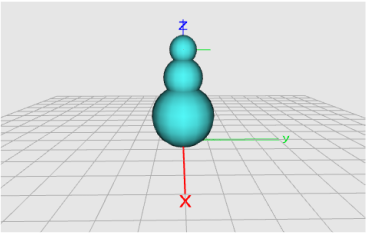 Be sure each sphere is connected the one below and/or above it and that you’re snowman does not go below the build plate. Build a cup or vase of your choice. 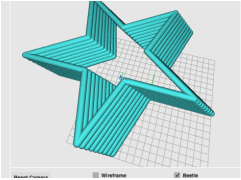 A 3D Printer prints one layer at a time, so you’ll need each layer to be fully connected. There are a couple examples below to get your gears turning.